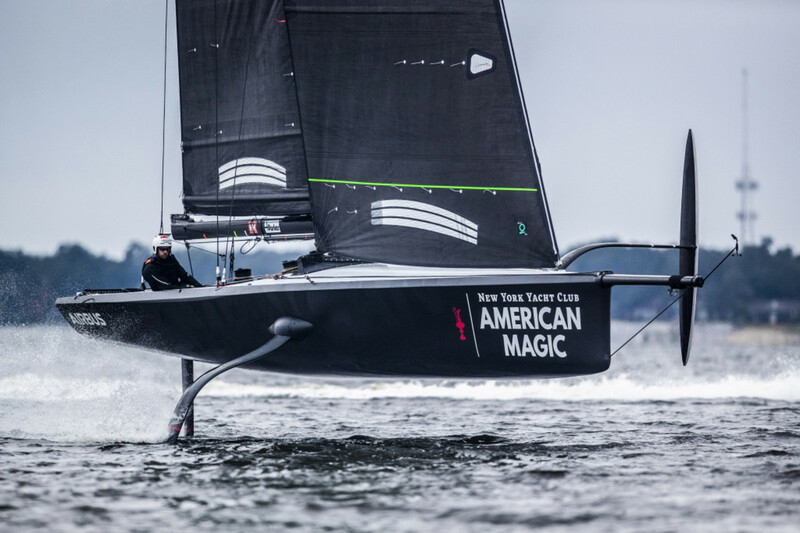 The New York Club’s American Magic, the U.S. America’s Cup challenger, said it moved to a winter training base in Pensacola, Fla. The team was formed in 2017 to compete for the 36th America’s Cup. A statement said that more than 100 American Magic personnel will sail and support “the Mule,” the team’s 38-foot test boat. American Magic’s presence represents the first time a Cup syndicate has trained on the Gulf Coast of Florida since 1970. The team is headquartered in Newport, R.I.
American Magic’s first exposure to Pensacola came last July, when team principal and CEO Hap Fauth and sailors Bora Gulari and Caleb Paine gave an America’s Cup presentation to more than 500 junior sailors, coaches and families at the Optimist U.S. National Championship, hosted by Pensacola Yacht Club. The 36th America’s Cup match will take place in Auckland, New Zealand, in March 2021.